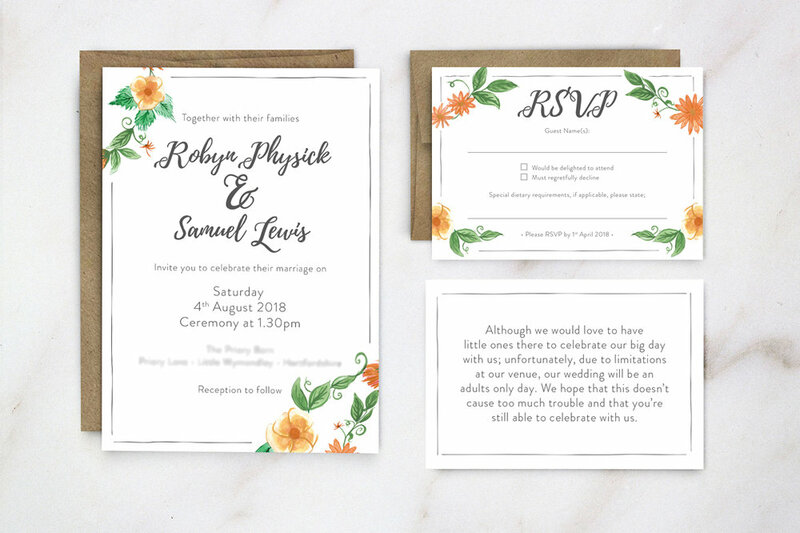 Wedding stationery set, including day and evening invites, RSVP card, and save the date invites. Handpainted watercolour wreath matching the colour scheme of the wedding, with a variety of typefaces re-worked (Playlist script, Noelan Script) and Brandon Grotesque body copy. Handpainted wreath which formed the basis of all of the stationery. A6 single sided postcard.